Did you see the video last spring of the birth of a False Killer Whale that a group of tourists got to experience while whale watching off the coast of Dana Point? The whales were swimming alongside the catamaran, when suddenly a little calf was pushed up by his or her mother to the surface to take its first breath. The false killer whale is the third-largest member of the oceanic dolphin family and lives in temperate and tropical waters throughout the world. 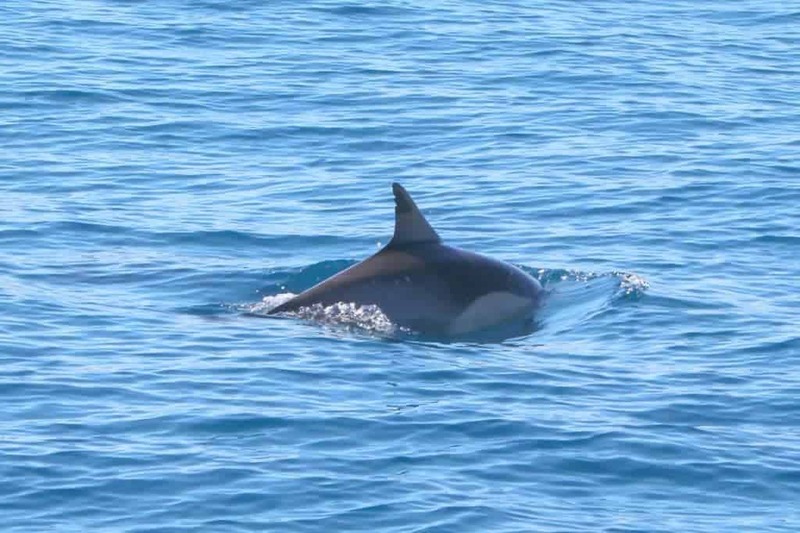 In addition to the 40 or so False Killer Whales that they saw, they also got to see 27 Gray Whales, 1 Fin Whale, a Minke Whale, over 2,000 Common Dolphins, a dozen Bottlenose, and a handful of Pacific White-sided Dolphins. Southern California is a wonderful place to see whales at their finest. During whale watching season in Southern California, which takes place along the coast from Santa Barbara to San Diego, you’ll find plenty of ways to see the migration. 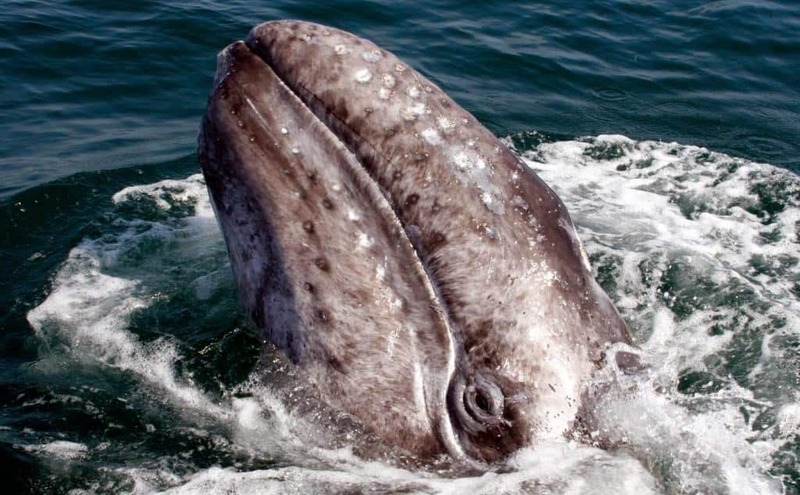 The season itself runs from mid-December through April with migrating Gray Whales being the most common species. Every winter, more than 20,000 Pacific Gray Whales travel 10,000 miles round-trip from Alaska to the lagoons of Baja California. To see females with their calves, it’s best to go late in the season as they take their babies back up north with them. The best way to see whales migrating in Southern California is to go on a whale watching tour. Most whale watch trips are fairly short and some companies even guarantee that you can go again for free if you don’t see any whales the first time. Anytime you want to go whale watching in Los Angeles your chances of spotting whales are very high. From January through May you can actively spot California Gray Whales in the Greater Los Angeles Area. On the way down to Mexico, the majority of pregnant females end up giving birth just above Los Angeles and swim down along the coast with their small babies in tow. The Blue Whale season starts in early summer. June through September you can see one of the world’s largest animals, weighing up to 400,000 lbs, feeding on krill and swimming right off the LA coast. You can take a highly rated whale watching boat tour for one, two or four people in Los Angeles with either LA Waterfront Cruises, 22nd Street Landing Sportfishing or San Monica Cruise Tour & Travel Center. When you go whale watching in Long Beach, you never know what you might see! 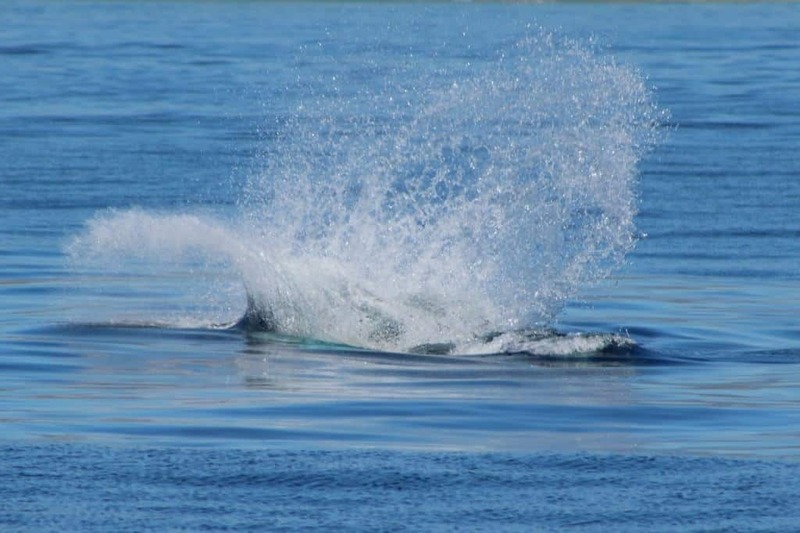 You could catch a glimpse of the majestic Pacific Gray Whale during its annual migration from Alaska or you just might see the incredible Humpback Whale flip breach the surface. No matter the time of day or season, creatures of the sea are never far from view, from orcas to fin whales, minke whales to dolphins, and so much more. Harbor Breeze’s Whale Watching Cruise is your best chance to channel your inner Jacques Cousteau and create some lifelong memories. And since one of the country’s best aquariums is right next door, you’re in good hands on this seafaring adventure. 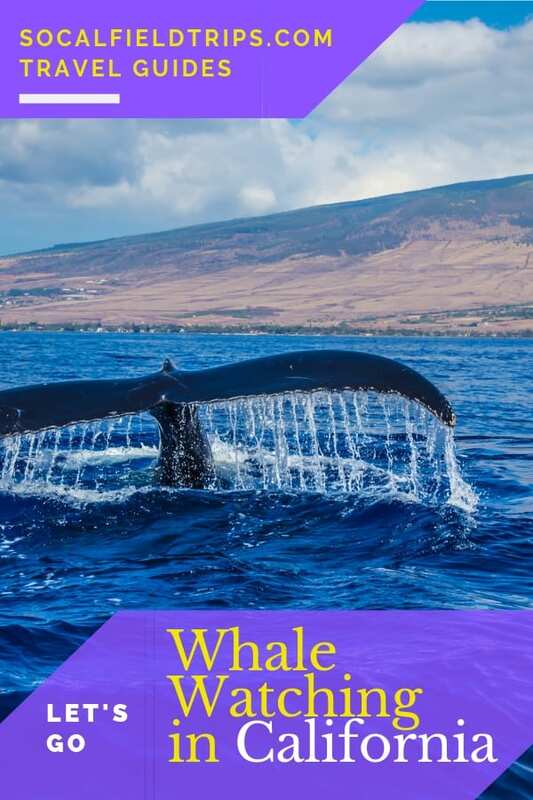 An educator from the Aquarium of the Pacific will guide you as you marvel at gray or blue whales (depending on the season), plus others majestic creatures, like the distinctive humpback, killer whales and several kinds of dolphins. The waters around Marina del Rey teem with seasonal gamefish. Beneath the ocean’s surface, halibut, sand bass, and barracuda swim from Rocky Point to the Big Kelp Reef. Sea lions, dolphins, sea birds, and several whale species also make their home in the water. 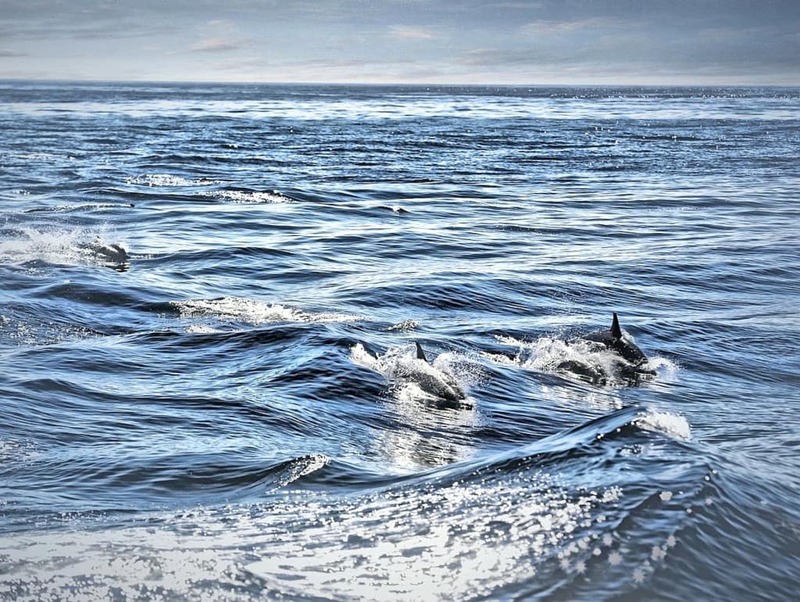 This diversity of wildlife prompted the owners of Marina Del Rey Sportfishing to start their whale and eco tour, during which sightseers can admire the ocean’s majestic creatures and the teams of Aquamen who groom them. Marine Del Rey Whale Watching offers a 3-3.5 hour on water adventure that departs at 10 am on weekdays, and at 10 am and 1:30 pm on Saturdays and Sundays. From a 65-foot-long sightseeing boat, passengers might spot gray whales, blue whales, fin whales, and other species. Other wildlife may make appearances, including dolphins, sea turtles, and seals. Newport Beach offers some of the best whale watching California has to offer. With one the largest marine protected parks just outside of Newport Bay, whales and dolphin of all types can be viewed as soon as you leave the bay. It is not uncommon to see giant blue whales and finback whales just outside the bay during the summer and fall months. Multiple gray whales are often seen in this same area during the winter and spring months while on their annual migration. Dana Point is located about halfway between San Diego and Los Angeles. 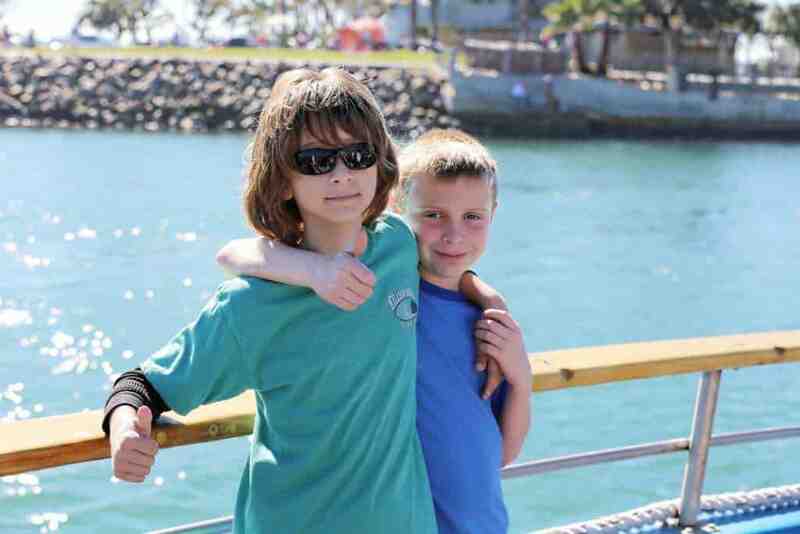 Along with hosting such events as the Festival of the Whales, Dana Point also is home to the Ocean Institute a non-profit research educational center teaching kids about marine life and marine mammals. As you would expect, whale watching in Dana Point is a very popular activity amongst locals and visitors alike. Dana Wharf Whale Watching offers a great captain narrated two-hour tour through the Pacific in search of gray whales, dolphins, and sea lions. If you want to get up close and personal with Pacific Grey Whales migrating along the San Diego coastline, a whale watching tour around San Diego harbor is your best bet. 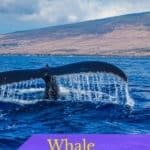 You can book a tour through any number of whale watching companies. Most depart from Point Loma, San Diego Bay or Oceanside. 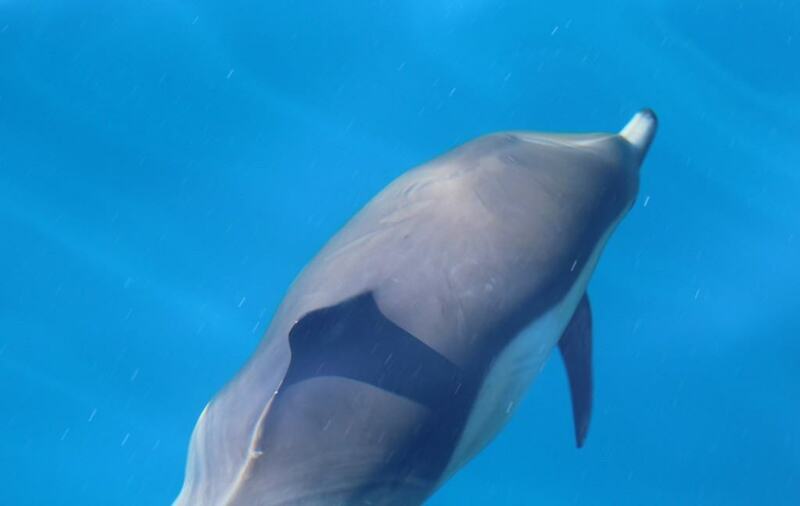 Besides seeing some beautiful whales, you will often spot sea lions, dolphins and other types of marine life. Whales splash around Santa Barbara entertaining onlookers eight months out of the year. 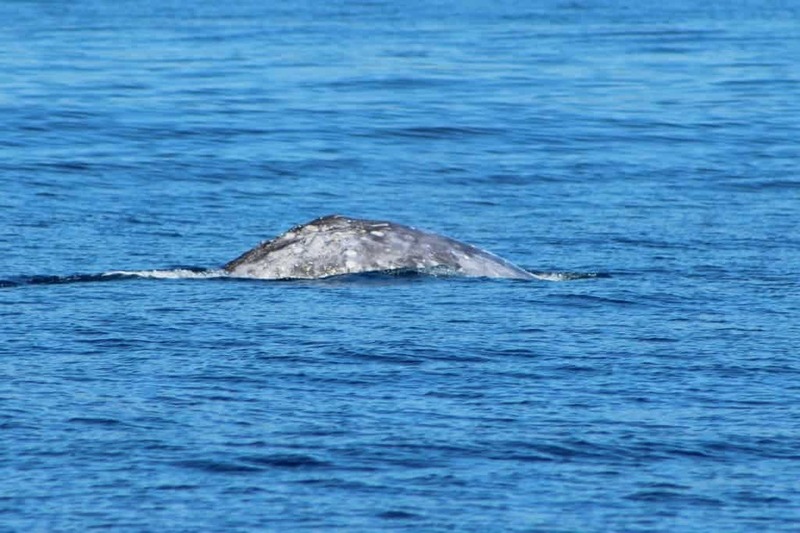 Tour companies offer gray whale watching trips from late December through mid-April from Ventura and Oxnard while Blue and Humpback whale watching trips are available from mid-June through mid-September. Humpback and endangered Blue whales feed on swarms of unsuspecting krill around Channel Islands Marine Sanctuary. Feeding whales tend to be near the western end of the northern Channel Islands and the journey there is often filled with playful visits from dolphins, seals, and California sea lions, and occasional visits from Orca whale pods. Blue whale watching trips take visitors on a journey past Painted Cave, one of the largest sea caves in the world on the west end of Santa Cruz Island. Weather and sea conditions permitting, you might have the opportunity to see the cave up close. Gray whale watching is a half-day adventure that takes about 4 hours. Since Gray whale watching occurs in the winter, visitors are encouraged to dress warm. Channel Islands Whale Watching out of Oxnard specializes in Eco-Tourism and Wildlife Adventures. Their tours take place in the pristine waters surrounding Channel Islands National Park and National Marine Sanctuary. During a whale watching tour, the company offers wildlife interpretation with informative narration of this unique region, often referred to as the Galapagos of the Northern Hemisphere.